Watch out for the vortex! It's a season of furious emerald storms and a sky alive with portents, as Pokemon and creatures from Ultra Space clash. Some ride the storm, and others defy it, with a lineup including Articuno-GX, Blaziken-GX, Scizor-GX, Stakataka-GX, and the amazing Rayquaza-GX, plus new cards featuring Latios, Latias and Jirachi. Face the winds of change head-on in the Pokemon TCG: Sun & Moon-Celestial Storm expansion! 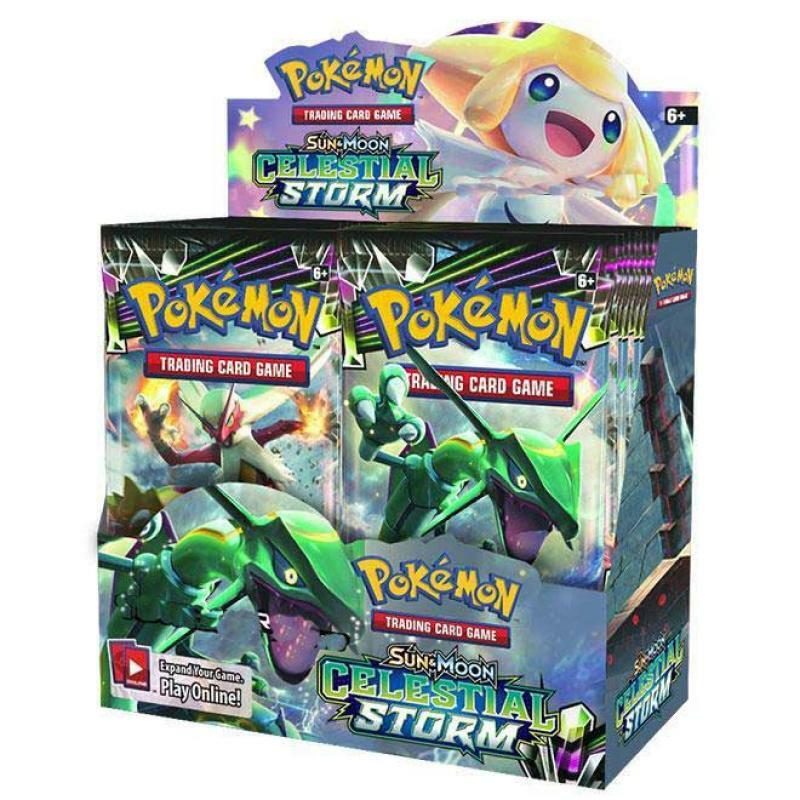 Celestial Storm has over 160 cards, 3 Prism Star cards featuring a new game mechanic, 11 Pokemon-GX and 3 Ultra Beasts, 27 trainer cards, plus rainbow energy.